For as long as I have known, something was a little different. All throughout school I was the loner; the guy in the background. Always hating being the centre of attention; hating talking in front of people; hating pretty much any social interaction. As high school came, I started making friends – just a select handful. But one day I came home and I heard some terrible news: my grandmother wasn’t going to make it through the night. The second thing that came to mind was that I had my HSC in less than two weeks. The feeling was overwhelming. If I didn’t pull myself together I would fail and would probably have to repeat. I passed, and that got me thinking: I didn’t know where my life was headed. And that’s when it slapped me in the face. CARS OF COURSE!!! I would go out and become an apprentice mechanic. I tried everywhere but nothing. But the night before my next two years of school started, I received a call saying that I would start tomorrow. 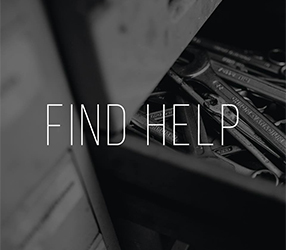 Nearly 7 years later, after a brand new car, a lot of debt and being diagnosed with depression, the dealership had shut down. I was slowly giving up. I had no job, days turned into nights, and nights turned into days. With a beautiful girlfriend of 17 months, my debt under control, two project cars going well, moving to the coast, having a job, and most importantly having a bunch of car enthusiast friends, things have never been better. 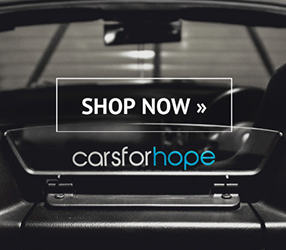 Finding Cars For Hope was like a dream come true: people like me with the same interest. 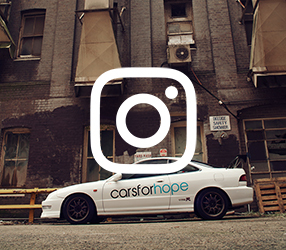 If I ever see a Cars For Hope sticker on your car, be prepared to make a friend!